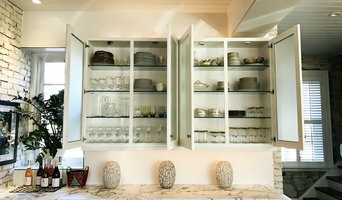 The Closet Factory designs and builds custom closets and cabinets to meet the individual needs and tastes of each client. We offer the most diverse selection of materials from melamine to stained or painted wood cabinets. I bring 10+ years industry experience and a lifelong passion for design and organization to each project. NEAT Method is a lifestyle service company that is committed to creating more luxurious and smartly appointed living spaces. We recognize that life gets hectic and that maintaining an organized home can become a challenge. As professional organizers, NEAT Method will design a customized solution that is not only effective but sustainable. Expect an honest approach, a sharp eye for detail, and a personal sense of refined style. We believe that once your life is clutter free and well arranged, you will have a new appreciation for the importance of living NEAT. The Closet Factory designs and builds custom closet and cabinets to meet the individual needs and style of each client and space. We offer a wide range of materials from melamine to stained or painted wood.I bring 8+ years experience in interior/architectural design and have a passion for organization that I can bring to each project. WHAT I LOVE MOST and do best is organizing environments in your home, work space, or business, and handling and overseeing life tasks. I handle any detail or situation that requires time and energy that you don't have, has gotten out of control, or is just too overwhelming. For organizational projects my goal is to help you streamline and set up systems that work and last in YOUR environment. I have the understanding of how people and spaces work together, and the experience to make your space work for you. For relocations, I can take over the co-ordination of the move in whatever capacity meets your needs. Life management projects can range from research, travel coordination, appointment setting, errands, and anything else that may need tending to and attention. ZeroChaos is here to make your life easier. We are a custom closet and storage organization team dedicated to designing and manufacturing the best solutions for your home. Family-owned since 1985, we have remained independent and do as much business as possible within our local community. We are committed to offering timely turnaround, expert design and installation, and stand behind our lifetime guarantee. You see CHAOS and CONFUSION, we see OPTIONS and SOLUTIONS! SolutionsForYou Organizing Services specializes in making sense out of your stuff and time. Hello, I’m Anne Blumer, one of five Board Certified Professional Organizers® in Portland, Oregon specializing in ADHD and CHRONIC DISORGANIZATION. I'm the founder of SolutionsForYou established in 2003. In today’s busy world, it is easy to become overwhelmed by everyday demands. Our lives often may seem chaotic because we are either too busy or our living space is not in balance. Jill Viglione, Professional Organizer with Embrace Your Space Organizing & Design, will help you find the right balance by simplifying your space, streamlining your belongings, and creating an organized environment that is both beautiful and functional. Our goal is to teach you how to simplify your home or business in order to reduce stress and create more time to enjoy what is most important to you. We listen without judgment to your personal needs, and provide encouragement and support throughout the process. Our step by step approach empowers you to produce immediate results that you can manage in the future. We will guide you in surrounding yourself with things that you love, and help you discover how to embrace the space you are in. Find out how you can begin embracing your space by calling (503) 310-3555 or emailing embraceyourspace@yahoo.com for a complimentary consultation. Feel free to visit our website at www.embraceyourspace.com. Our passion at VAULT® is furnishing the world's most spectacular garages with the finest quality metal cabinets, work space illumination, fluid resistant flooring, yacht-finished carriage doors, and décor consisting of original antiques and incomparable re-creations of historic vintage signs. We help Portland homeowners transform everyday frustration into joy. Our custom pull‐out shelves bring you more space and access—making your life organized. ShelfGenie is a national franchise that provides homeowners with organizational Solutions, like Glide-Out™ shelves. Our Solutions bring more space, access, and organization to clients’ homes across the U.S. and Canada. Each of our Solutions are custom made and handcrafted to find our clients’ existing cabinets. This allows our clients to transform their space without having to get a renovation. Our Solutions make each of our clients’ lives easier, and help them to truly love their space. I bring over 30 years of experience in the clothing industry, patternmaking, and clothing design. My current position at a local company is designing closets, desk systems, pantries, etc. Although a new closet is great, not all of my clients need a new closet, but a new system of organization. With my design, pattern and fit experience, I can also help you go through your clothing and decide what you should keep to help simplify so your wardrobe is purposeful and gives you pleasure. Profession Home and Business Organizing Services including space planning, decluttering, organizing. I'm your personal trainer of organizing. Established in 1999, Vicki Norris' Restoring Order is a professional organizing company. Vicki and her team of order restorers work hands-on with clients in homes and offices. Trained in Vicki's break-through processes that create sustainable change for clients, the Restoring Order team is a veteran staff of experts. And they're employees, not independent contractors, making organizing their FULL TIME career. When you hire Restoring Order, you receive experience, compassion, and results. Vicki is a professional organizing expert, dynamic entrepreneur, speaker, television personality, and author who helps people live their priorities and reclaim their lives. Founder and president of Restoring Order®, an organizing services and products company, Norris teaches others how to identify their priorities and create sustainable change in personal organizational habits that support those priorities. Vicki is MORE Good Day Oregon's Organizing Expert, with a weekly segment sharing organizing tips and ideas. She spent seven years as KATU’s AM Northwest professional organizing expert as well as a featured guest on Better TV. Norris was regularly featured organizing expert on HGTV’s Mission: Organization. On radio, she and has been a frequent contributor on 1190 KEX Radio. She is also a contributor to national lifestyle publications, including Quick & Simple magazine, Better Homes & Gardens, Family Circle, Parents magazine, Woman’s Day, Woman’s Day Small Space Decorating and Real Simple magazine. Norris’ unique brand of organization and life management has attracted such notable companies as Glad and MasterCard which have each enlisted Norris as their spokesperson. If your home is in disarray or you need to get clutter under control, it may be time to seek help from a La Center, WA professional. Professional organizers in La Center can help you get almost any space back in shape, whether it’s your office, a master closet, the kids’ playroom or the entire house. Before hiring a professional organizer, consider exactly what you need. Have you just moved into a La Center, WA home and have no idea where to put everything? You may want to consider an organizer who specializes in room-by-room space planning or estate organization. Perhaps you’re faced with a tiny closet and an overflowing wardrobe. In that case find a professional who focuses on closets to help you get back on track. Also consider the types of objects that need organization. Are they items like books, family photos, files or collections? You’ll want a professional organizer who has experience designing custom systems with La Center, WA companies that will best fit your needs. Find a professional closet and home organizer on Houzz. 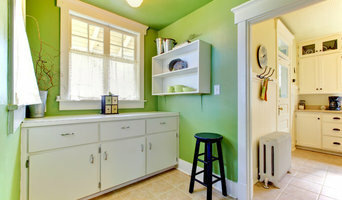 Narrow your search in the Professionals section on Houzz to La Center, WA closets and home organization.